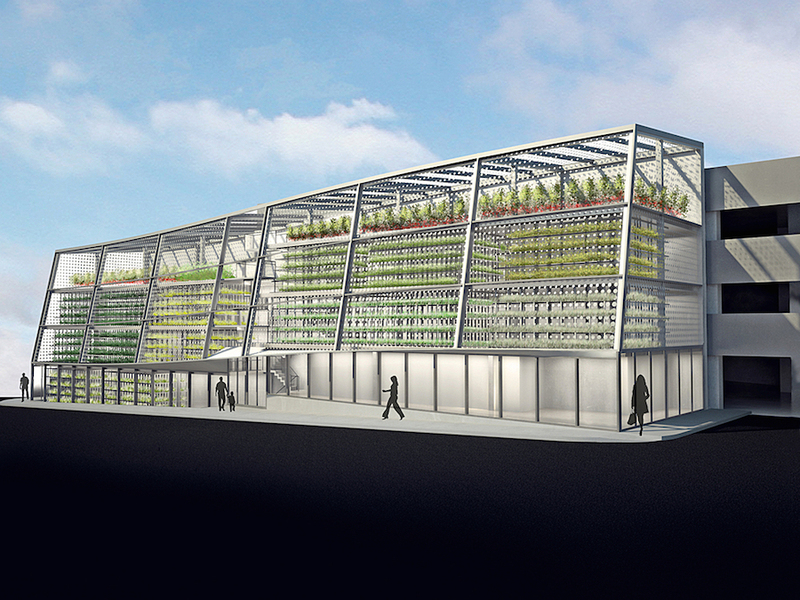 High-yield, vertical greenhouses could be a godsend for outlying regions afflicted with harsh climates, where food supply chains are weather-vulnerable. In Jackson, Wyoming, where approximately 400 inches of snow falls per year in a valley hedged by mountains, much of the city’s produce is trucked in from afar. 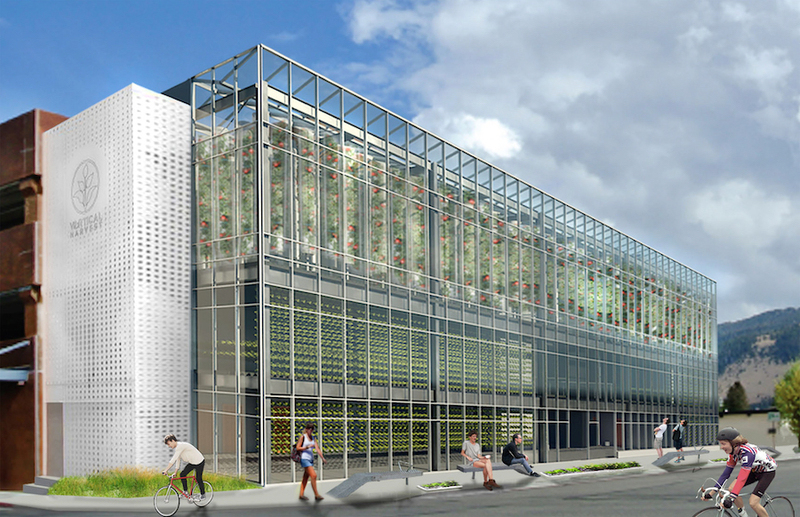 Despite looking like an afterthought tacked onto a former parking garage, The Vertical Harvest Jackson Hole is a multi-story greenhouse that aims to reduce Jackson’s susceptibility to food deficits. 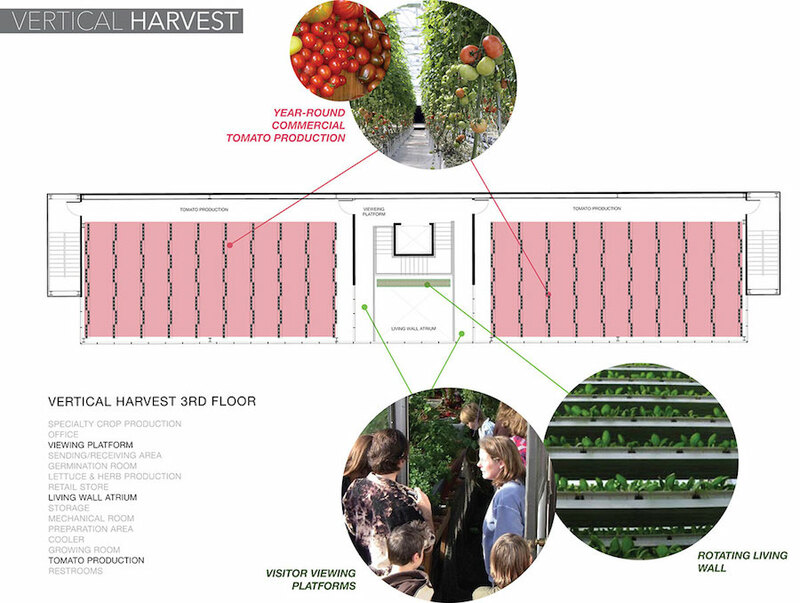 Enlisting the acumen of greenhouse engineer Larssen Ltd., which has 20 years of experience building greenhouses in merciless climates such as Maine, Siberia, and Iceland, Vertical Harvest is constructing a three-story, 13,500 square foot hydroponic greenhouse situated on leftover land. 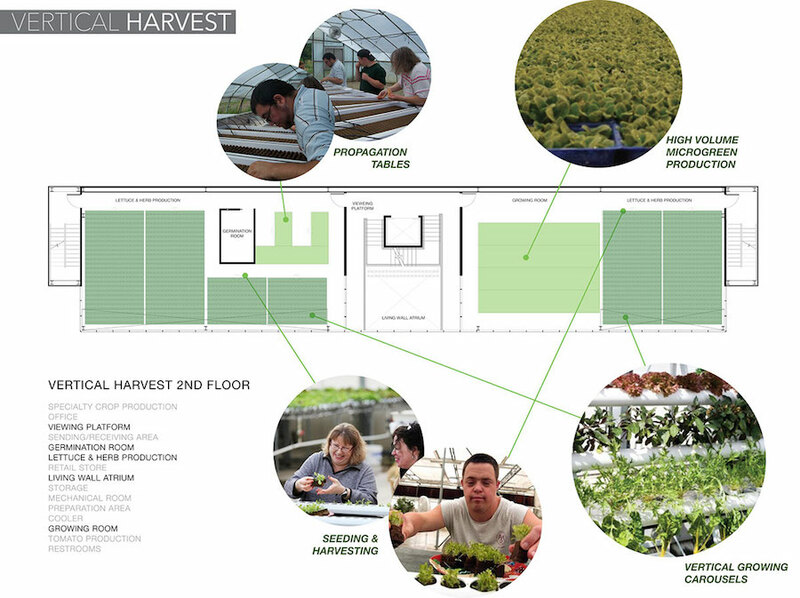 It occupies just 1/10 of an acre, but hydroponic agriculture and the essential “stacking” of multiple greenhouses enables the Jackson Hole to produce up to 100,000 lbs of produce annually, or the equivalent output of a 5-acre traditional crop field. 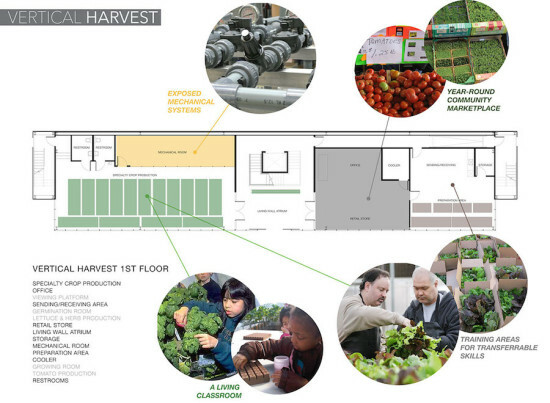 Each floor will grow a different crop, with plants oriented on rotating carousels to not only maximize sunlight exposure but create extra room for more crops—essentially adding another floor of harvest space. High expectations rest on the project’s shoulders, with founders Penny McBride and Nona Yehia hoping it will corroborate the commercial viability of vertical greenhouses as a solution to import-reliant remote areas. It may not be too lofty a dream: 95 percent of Vertical Harvest’s produce is already under pre-purchase agreements. 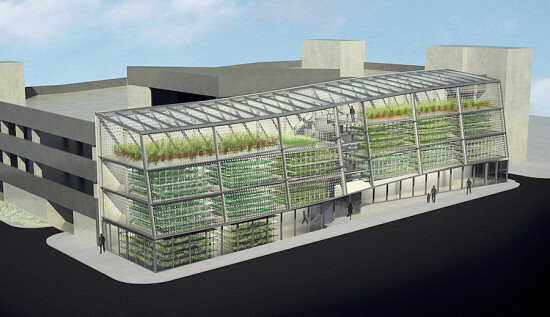 The greenhouse will be operable by December 2015, and given the quick turnover of hydroponic farming, is expected to start generating output within two months. An additional byproduct? 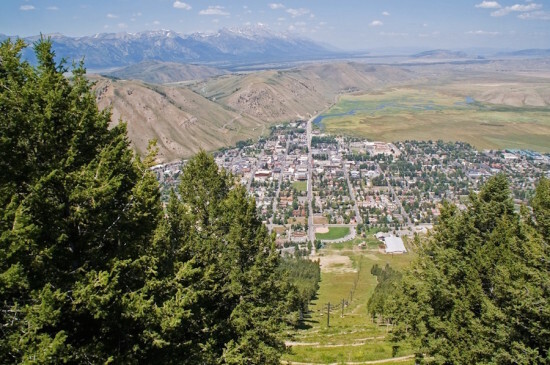 Job creation geared specifically toward the developmentally disabled, 78 percent of which are unemployed.